Drum Cafe’s all-inclusive experience is a great way to captivate your audience and transform your conference. Customized for annual sales meetings, recognition events, quarterly reviews or product launches, our programs are delivered with relevant and meaningful content, aligned with your call to action! Clinical studies have shown the power of the drum to relax the tense, energize the tired, and heal the emotionally wounded. 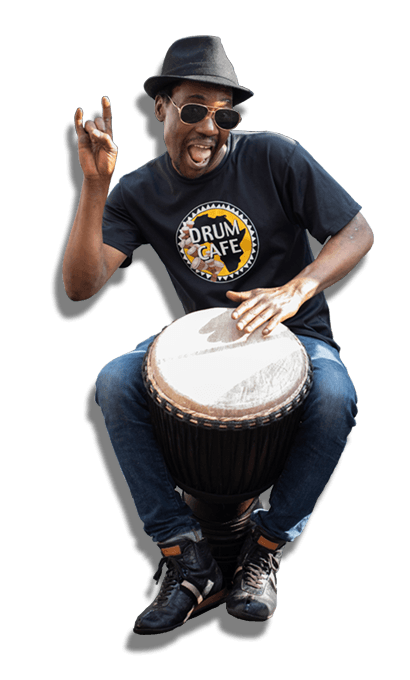 Since it’s inception, Drum Cafe has harnessed the healing power of interactive drumming to sponsor or assist in philanthropic projects around the globe. At Drum Cafe USA, we view our work with schools and non-profit groups as essential, not optional. We invite you to consider our commitment to America’s Youth and Special Needs communities as an extension of your CSR. Our School programs are custom-built for elementary to college levels. Our TeenBuilding programs cultivate respect, build character; motivate for testing and nurture an overall culture of collaboration. Partner with us to build your teams of tomorrow, today! Sponsor a school, Become a Mentor, Learn More.